On this page we will include the personal stories of people who have benefited from the work and our programs. 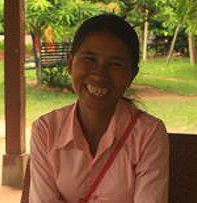 Ta Chan’s family, Siem Reap: They live in a very small and old house made of palm leaves with eight people. One of their youngest daughters had a heart leak since birth but her parents cannot afford to send her to hospital. 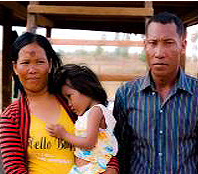 To help this family, we conducted emergency fundraising to get a minimum amount of money and sent her for a health check up at the hospital in Siem Reap. Now she is waiting for an operation. During this time, we also built a new house for the family. This house will be the fundamental property for the family to move forward and better accommodate their children. Miss. 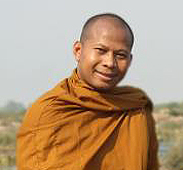 Lort Yet-SCP: Is an 18 year old from Chup Soum Village, Peak Snang Commune, Angkor Thorm District. 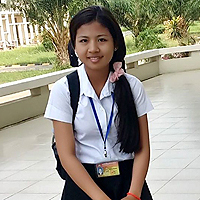 She has been studying grade 10 at Hun Sen Angkor Thorm High School. “In the past my family was so poor, we have not enough food, clothes, study materials, uniforms, bicycles, or shelter. After my family got support from SCP, my family is much better, and I have the bike for going to school, have study materials and a uniform. 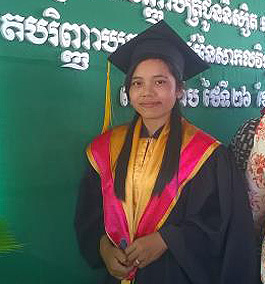 Especially I have more time to study and my study is much better than before, I always get excellent scores in my class. 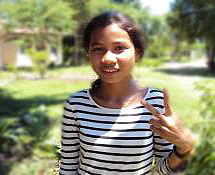 I am very excited and thankful to SCP and LHA which supports my family.” In the future, She wants to be a doctor.